Hoya sp. 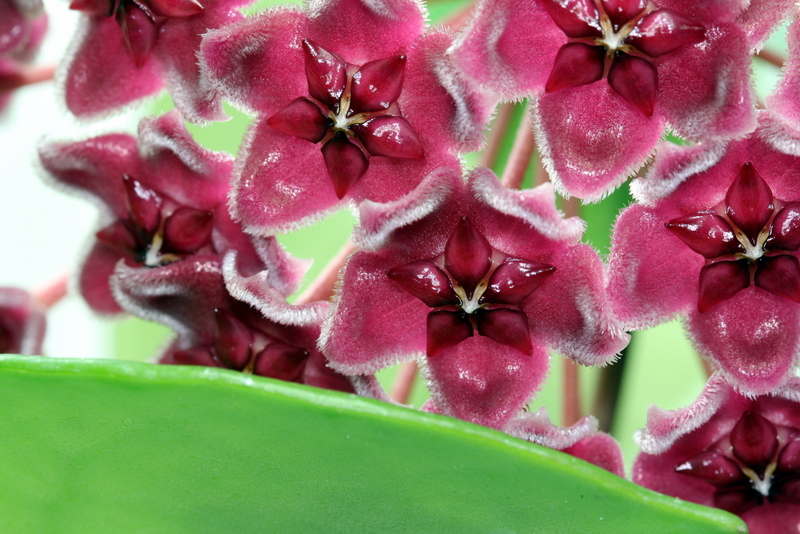 Ban Ngong Ngoy comes from Thailand and is a very easy Hoya to grow! It has carnosa like leaves and pubicalyx like blooms. It takes around two years to get this plant to flower from cuttings. Care is similar to care given to carnosa and pubicalyx – good light, water once every week or two, and no special requirement when it comes to humidity. I grow mine on a simple wire trellis, but it would grow equally well in a hanging basket. **UPDATE** I kept this plant in the regular dry house last year during the winter time, and almost lost the plant. It needs high humidity to do well. There are better choices for gardeners in the north!